Karimabad: Their love blossomed in Hyderabad, where he had found a job after finishing his MBA in Bangalore and she had just arrived from Indonesia for a six-month training programme. Wiwiek Widiasati, a resident of Sudirman in the Indonesian capital of Jakarta, was training with United Health group’s Hyderabad office when she met Abid Hussain Lone. They instantly liked each other and after three years of online dating, in July 2016, Abid flew to Indonesia to get married to a girl who neither knew his language nor the place he lived in. “I had heard it (Kashmir) is a heaven on earth,” she says. 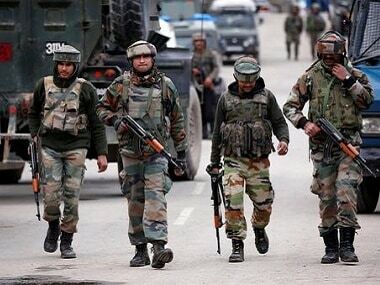 But ‘heaven’ turned into hell on Saturday, 15 December, when the army along with paramilitary forces and Jammu and Kashmir Police laid a massive cordon around a cluster of orchards on the edge of a small road in Sirnoo village of Pulwama. Her husband, Abid, father of their three-month-old baby girl, Adeefa Lone, was one of the seven civilians killed in the army firing when unruly protesters clashed with the security forces at the encounter site. The rumour that has gained currency in the village is that a day earlier, an “informer” of the security forces had followed an unidentified villager, who was bringing food for a group militants holed up in a 15-foot deep pit covered with lifeless branches of trees, making it almost impossible for the human eye to notice it. 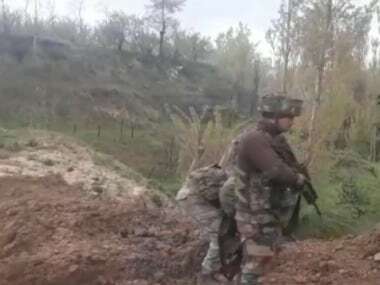 But villagers say a soldier’s feet got stuck in the branches covering the hideout and the militants sitting inside fired in panic, resulting in the killing of all three of them. A soldier was also killed and another suffered injuries. On Sunday, dozens of villagers from far off places visited the site of the encounter. Curious men and women, young and old, made a circle around the busted hideout. After the encounter was over, around 7 am on Saturday morning, hundreds of protesters descended on the three sides of the site of encounter and clashed with forces. Abid, 26, husband of Wiwiek who was lovingly known as Saima because the villagers found her name too difficult to pronounce, was among the killed civilians. He had left his home at around 8:15 am, telling his wife that he would be back soon from the nearby fields. The exchange of gunfire, according to Wiwiek, continued. She had never witnessed this before in her life. 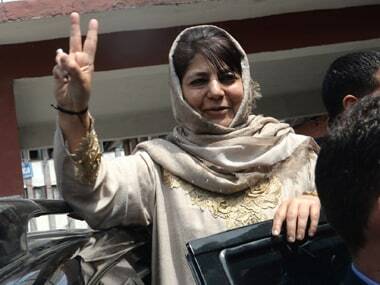 This was her seventh month in Kashmir and she was leaving to Hyderabad with her husband in the last week of February, she said. Early on Sunday morning, aggrieved Kashmiri women encircled the Indonesian girl. It is difficult to recognise her in a Kashmiri Peheran and a red scarf that covered her head and face. A girl, who sat next to her, tried to console her but she kept crying the name of her husband. She wails in English and only two people in the room understand what she is saying. She neither knows Kashmiri nor Hindi and there are few in this remote village of Pulwama who understand the English language. “After nine calls, someone answered the phone. There was noise. I knew something had gone wrong. He had been killed too,” Wiwiek said looking at her three-month-old daughter in the lap of a neighbour. “Come to mother, my baby,” she cries out. 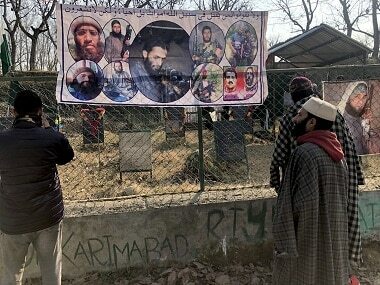 It is hard to even imagine how she has lived all this time in Karimabad, which is one the most volatile area of Pulwama. The husband-wife duo was leaving for Hyderabad after Wiwiek failed to adjust in the village life, despite her husband’s wish to live by the side of his ailing mother. Both of them had landed jobs in Hyderabad. Now, Lone is buried in the grave and his wish has come true in a tragic way. And his wife is travelling to Jakarta, but her three-month-old daughter doesn’t have a passport. On Monday, she spoke to the Indonesian embassy staff in New Delhi.